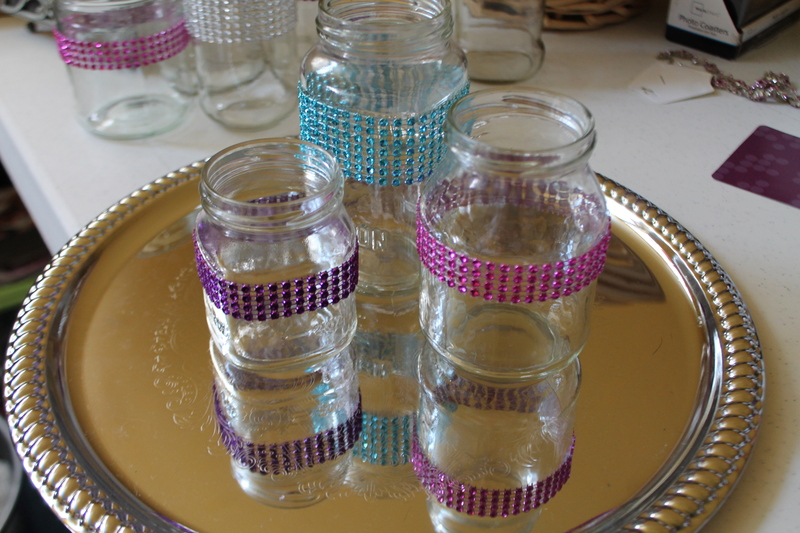 I know that we have lots of DIY people out there and I wanted to share this awesome idea I had to transform your jelly jars, spaghetti sauce containers, pickle jars , salsa containers and more!!! 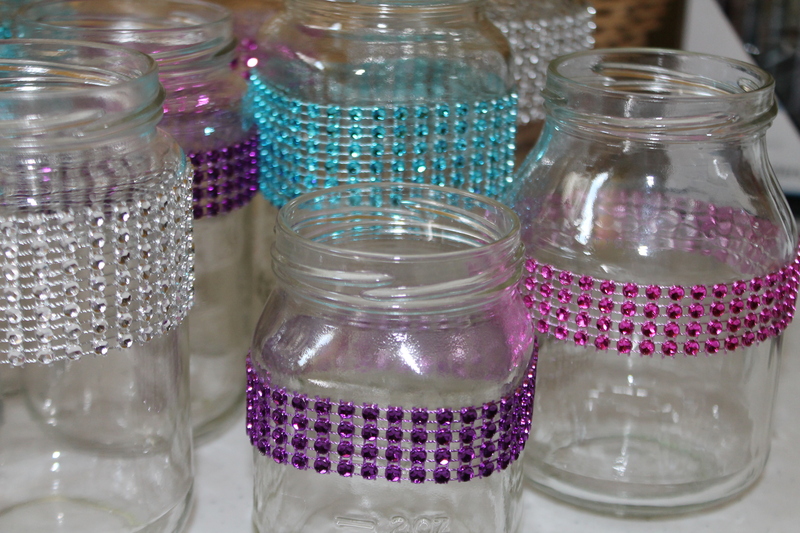 Take ANY jars you have around the house instead of recycling them you are UPCYCLING——-thus making them FREE!!!! 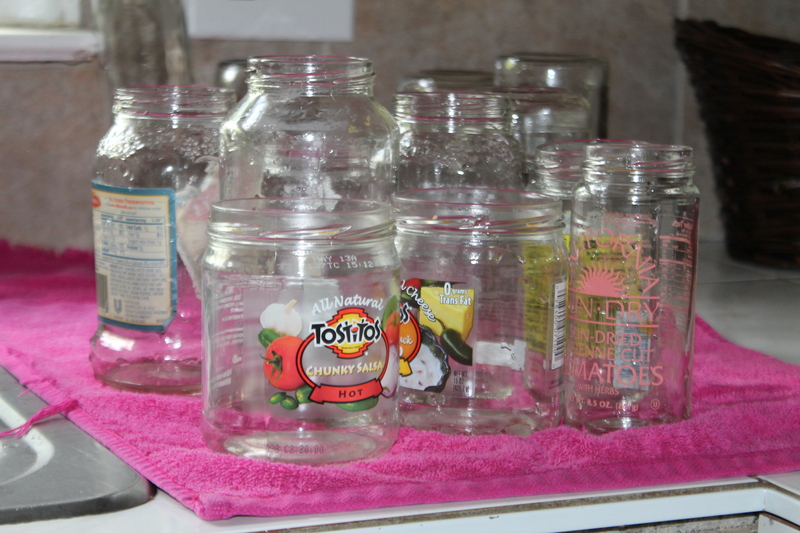 Once you have the containers you would like to use begin by soaking them in hot water. 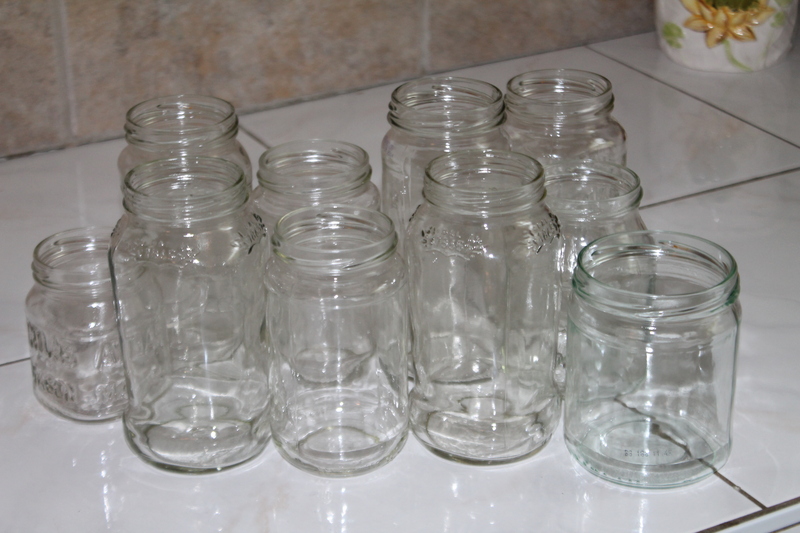 This will help remove any and all labels (with a little elbow grease on some) so that you have a clean jar in unique shapes and sizes to work with! 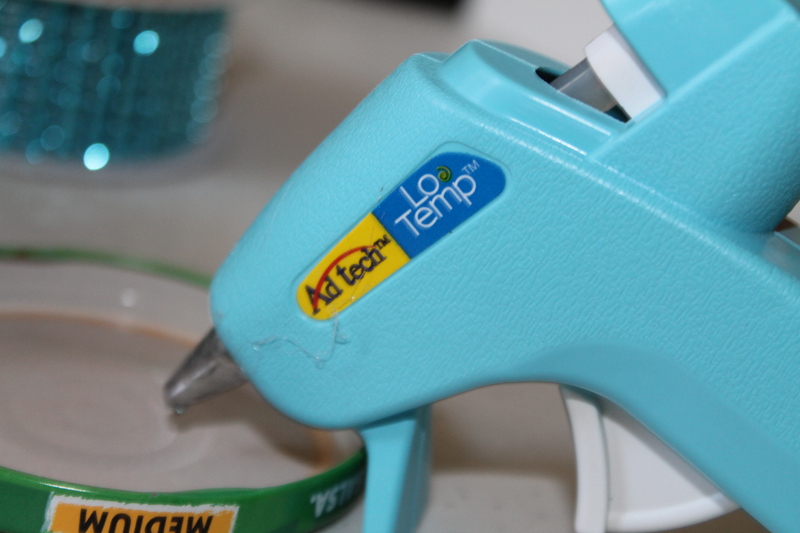 Next step is to let your hot glue gun warm up….I really got creative with my glue gun. 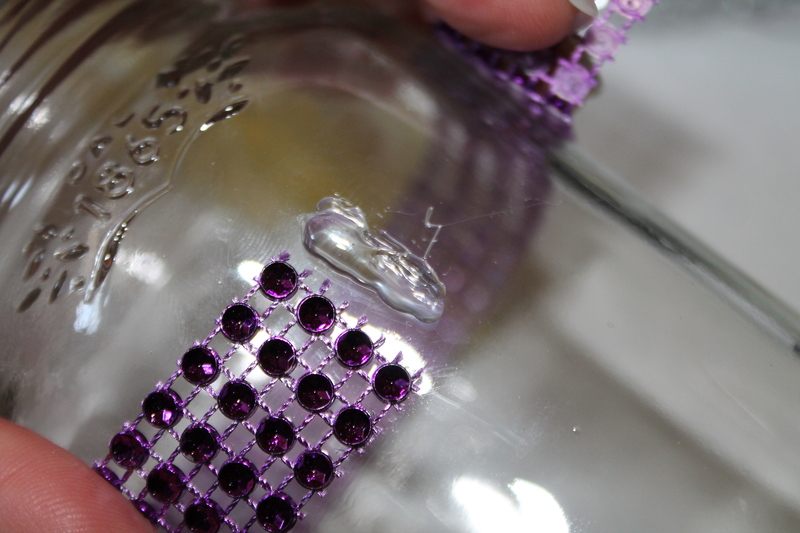 Check out my tray to catch any spilled glue….Salsa lid! 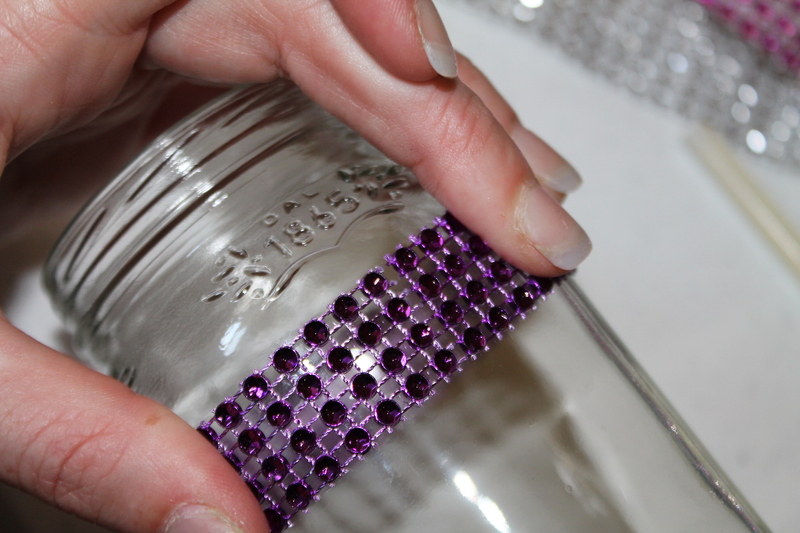 Once the glue gun is warmed up measure and cut your ribbon and since every jar is different I simply went jar by jar to be quicker. 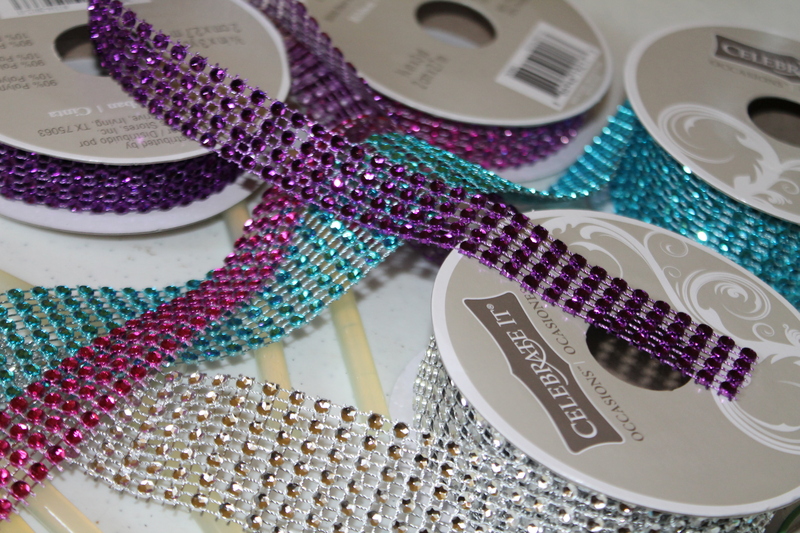 Cut your ribbon so that the ends meet perfectly with no overlay this will ensure a smooth feel for ribbon. Next to start gluing!!! 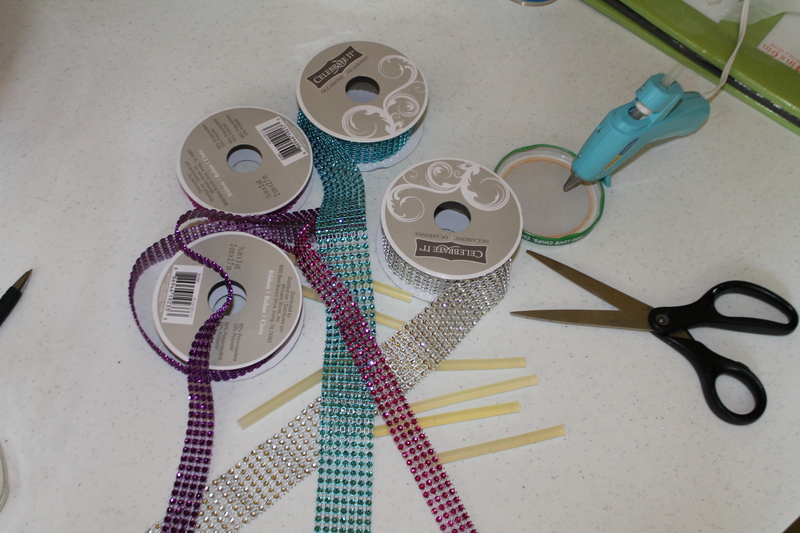 Place a strip of glue where ribbon will meet and adhere. 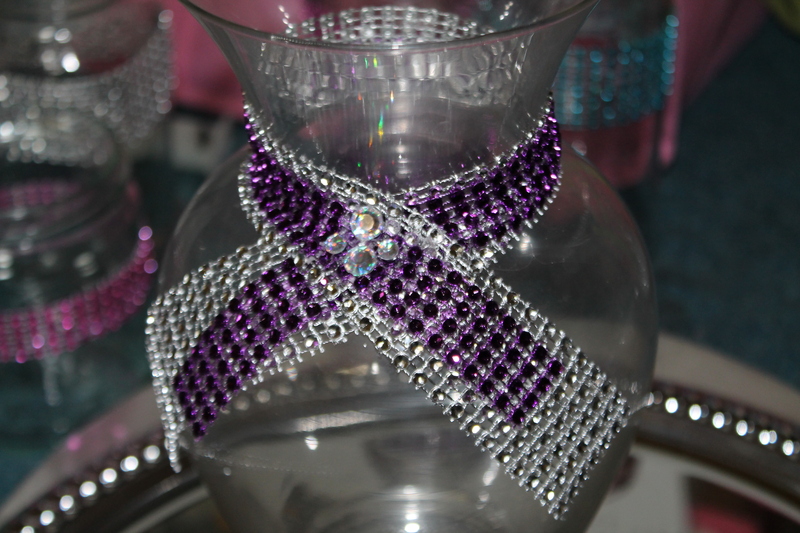 You can add more embellishments if you wish. 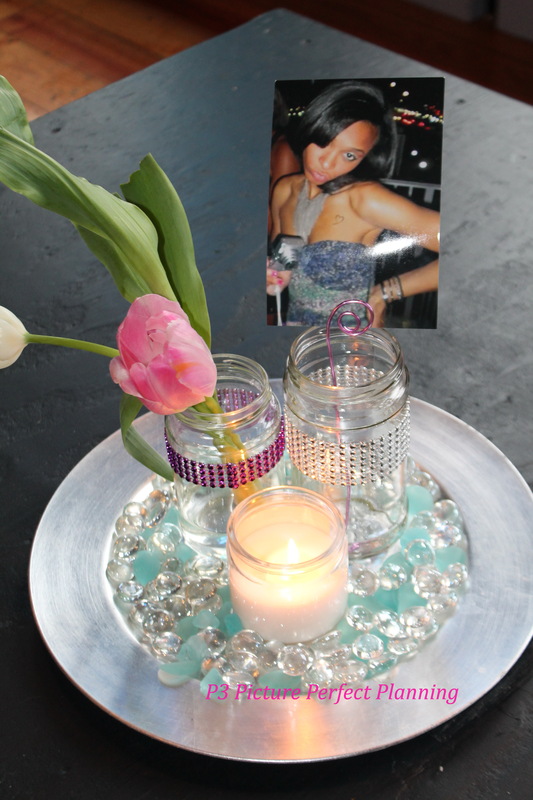 I choose to keep the jars for the table simple but did add more to the large vase for more of an impression. 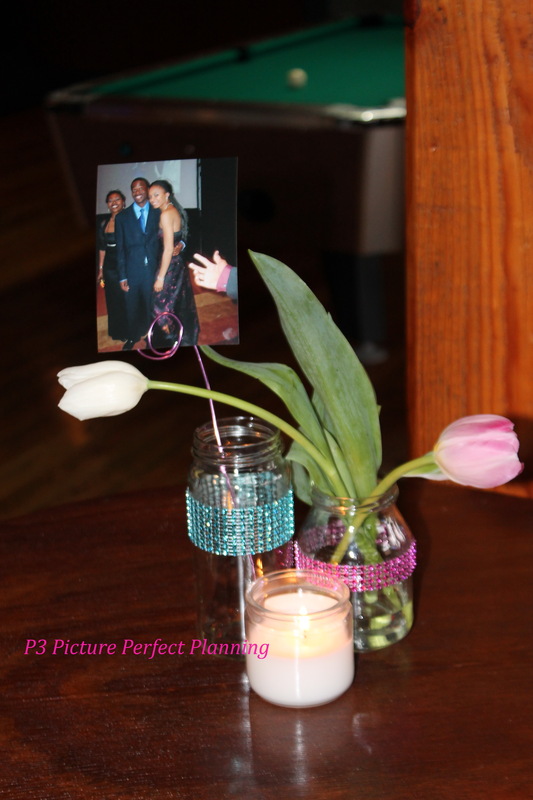 Previous PostWays to save money for your child’s next Birthday Party!!! !Next PostPiece of Advice…….. Very cute idea 🙂 I need to remember this one!